Your transponder is associated with your licence plate number. You must install the transponder according to the instructions provided. 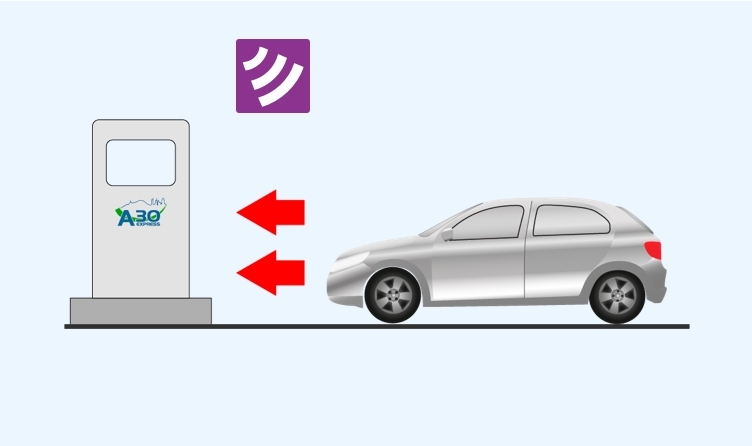 When entering a tollbooth lane, your transponder is detected and the barrier automatically opens to let you through. The toll fee is then immediately taken from your account’s balance. 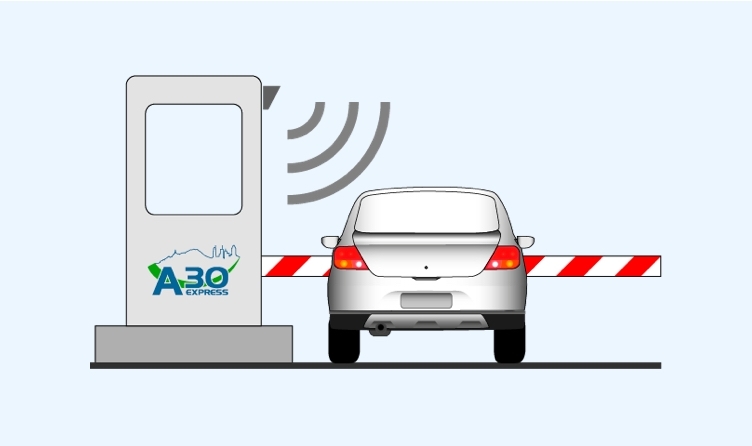 You are now ready for a worry-free drive on the A30 Express! 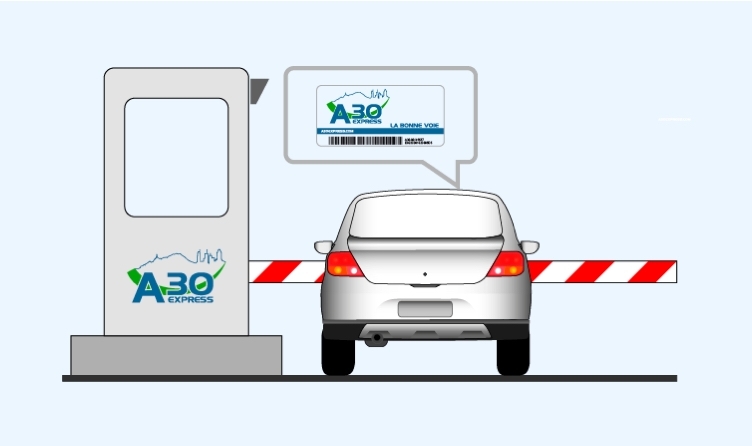 1- Enter a lane identified for transponder users. 2- Your transponder is detected. 3- A sufficient balance in your account allows the automatic payment. 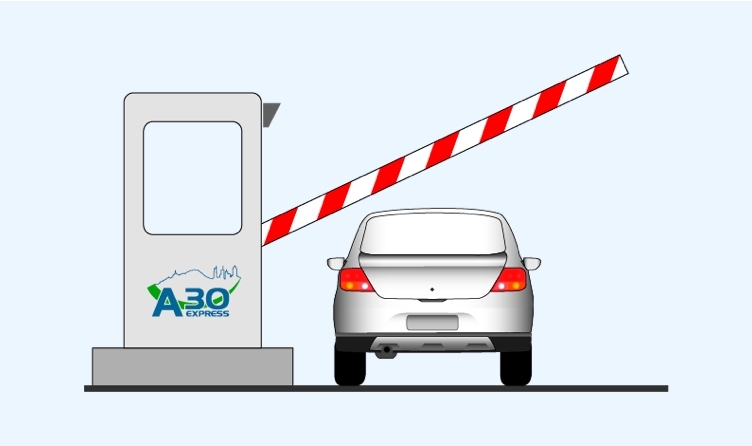 4- The gate opens, the light changes to green, and you can drive through the tollbooth at 20 km/h.